At the intersection of creative expression and all-out experimentation, this hands-on workshop will get your creative juices flowing in ways you might not have imagined. 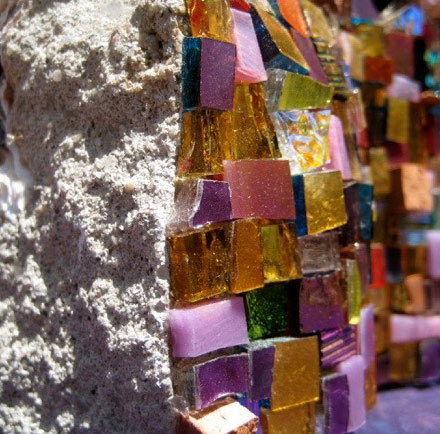 In this unique workshop experience students will have a chance to break out of traditional rules and structure to explore mosaic-making that is outside the box, moving away from techniques and processes typically associated with traditional or architectural mosaic making. 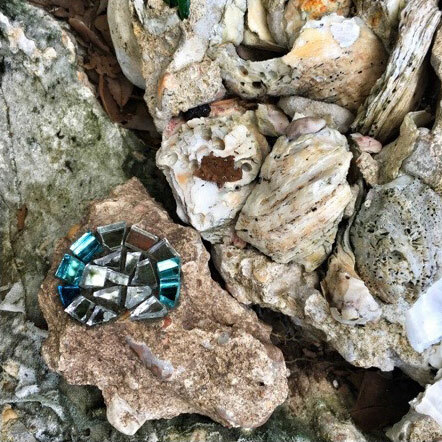 Projects and discussions will be inspired by elements of urban mosaics (graffiti/ street art, mosaic “bombs”, art abandonment), land art and ephemeral mosaics, using uncommon materials and experimental processes. Students will work with clay, glass, mirror, building materials, found objects, refuse and other non-traditional materials. Laurel will guide students in the exploration of pattern, texture and intuitive combinations of color and materials through the creation of multiple projects that reflect conceptual themes such as the ephemeral nature of creative expression, non-attachment and mindfulness. One of the aims of the workshop is to inspire, surprise and assist students in finding their own unique voice that is an amalgamation of their own inspirations, tastes and style. Another aim of the workshop is to assist students in seeing their work within a larger context, and in understanding how mosaic techniques can intersect with conceptual art and public engagement. 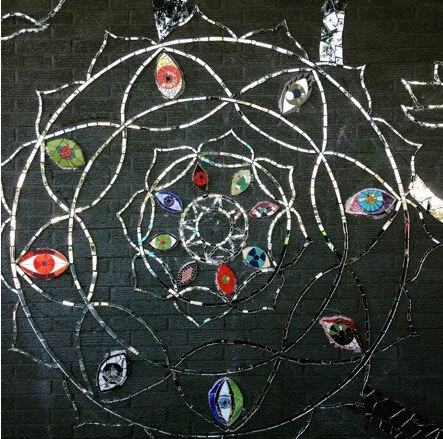 Laurel will offer a short presentation of experimental, urban, outsider and unusual mosaics around the world. She will talk about contemporary art movements such as craftivism, graffiti, street art and artists working in and around mosaic techniques in unique, surprising and inspiring ways. Please email to get on the wait list.